Quadrantid is an annual meteor shower. Originating from debris left by comet 2003 EH1, Quadrantid peaks tonight with an estimated 100 meteors an hour. Finding its source in the night sky is easy; find Polaris (the north star ) and you’ve found Quadrantid. Unfortunately we have a party crasher. Most people have heard of a “waxing moon” or “waning moon” , both of which are Gibbous moons; the no mans land between half and full. Waxing being on the way to full, waning after a full moon. Tonight’s waning gibbous moon is bright enough to block out all but the brightest meteors. Fortunately there are plenty more meteor showers. The Lyrids in April will suffer from a pesky waning moon, the Aquarids , Delta Aquarids, Perseids, Draconids, Orionids, Taurids, and Leonids follow. Click on the link to earthsky, bookmark it and plan a magical night of star gazing. 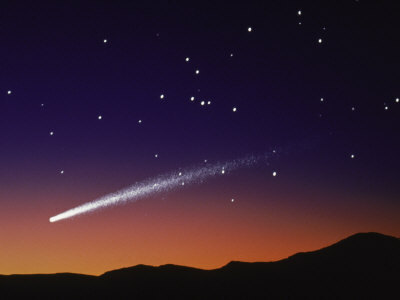 Nothing restores the soul like wishing on a falling star.